After differences in implementation and settings were accounted for, two important prostate cancer screening trials provide compatible evidence that screening reduces prostate cancer mortality. These findings suggest that current guidelines recommending against routine PSA-based screening may be revised. However, questions remain about how to implement screening so that the benefits outweigh the potential harms of overdiagnosis and overtreatment. The findings are published in Annals of Internal Medicine. Current guidelines from the United States Preventive Services Task Force (USPSTF) recommend against prostate-specific antigen (PSA) screening for prostate cancer because the evidence for the test showed very low probability that it would reduce the risk of dying from prostate cancer. This recommendation relied heavily on results from the ERSPC (European Randomized Study of Screening for Prostate Cancer) and the PLCO (Prostate, Lung, Colorectal, and Ovarian Cancer Screening Trial), which offered conflicting results. The ERSPC showed a significant reduction and the PLCO showed no reduction. However, differences in study implementation, compliance, and practice settings may account for this conflict. A team of investigators from the University of Michigan and the National Cancer Institute sought to formally test whether the effects of screening on prostate cancer mortality differed between the ERSPC and PLCO and to estimate the effects of screening in both trials relative to no screening. Using a mathematical model to account for differences in implementation compliance, and practice settings, they found no evidence that the effects of screening compared to no screening differed between ERSPC and PLCO and inferred that screening could significantly reduce prostate cancer deaths. 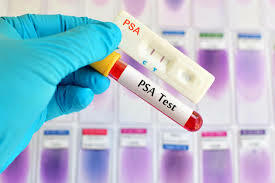 The author of an accompanying editorial from Sloan Kettering Cancer Center hopes that this paper will put to rest the question of whether PSA screening reduces prostate cancer mortality. Instead, the discussion should focus on how to implement screening so that the benefit outweighs the harms of overdiagnosis and overtreatment.